After yesterday’s road trip to Cornwall, today’s wedding was a much more local affair! A short 20 minute journey North to The Mercure Grange Hotel in Winterbourne, Bristol for Nicola and Ryan’s big day. The happy couple booked me to play during the break between the ceremony and the wedding breakfast. Despite a chilly wind (good old British Summer! 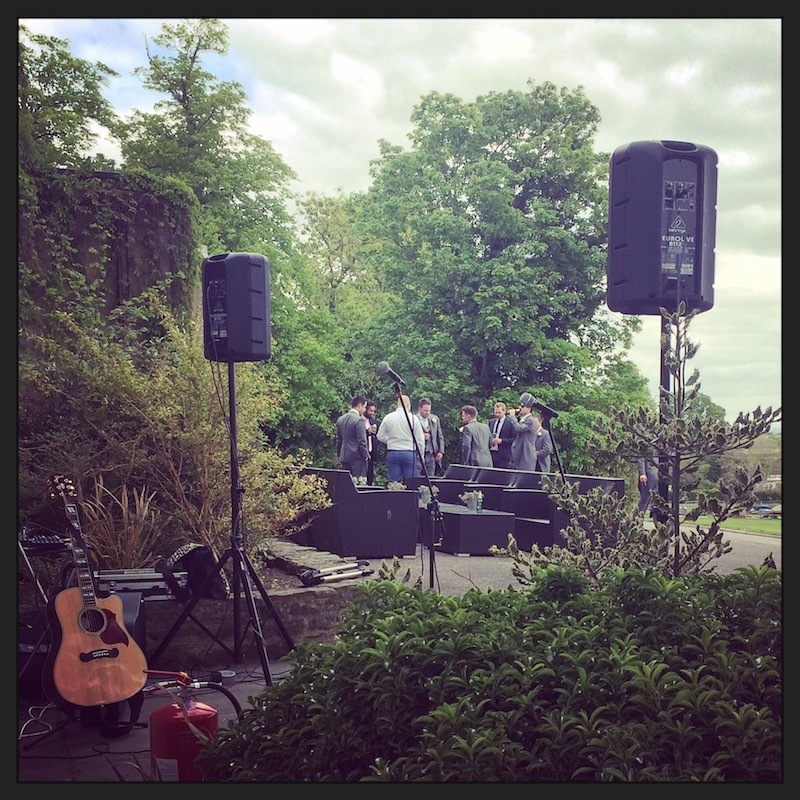 ), we managed to hold the drinks reception outdoors in the beautiful grounds of the hotel. The rain held off thankfully, and the photographer made the most of the beautiful surroundings, getting some great group shots and pictures of the happy couple. 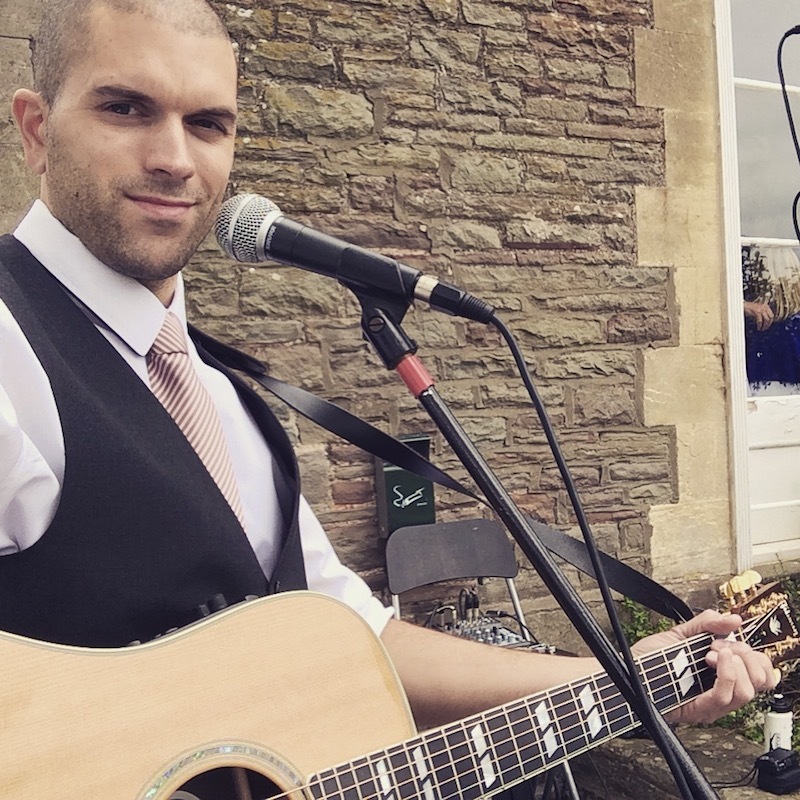 Meanwhile, I serenaded the wedding party with some acoustic covers picked by the newlyweds. Nicola & Ryan picked a bang up-to-date playlist, including songs from Ed Sheeran, George Ezra, One Direction and John Legend. This was mixed in with some classics such as Fast Car by Tracey Chapman and Higher & Higher by Jackie Wilson. I captured some of the set on film so will get this onto the YouTube page soon! A great afternoon and the music seemed to go down well! I spotted the bride dancing away to “What Makes You Beautiful” while having photographs taken 🙂 And I managed to squeeze in a request for the lads. Massive congratulations to the happy couple – thanks for inviting me to be a part of your big day. Hope you had a fantastic day and that married life is everything you hoped for! 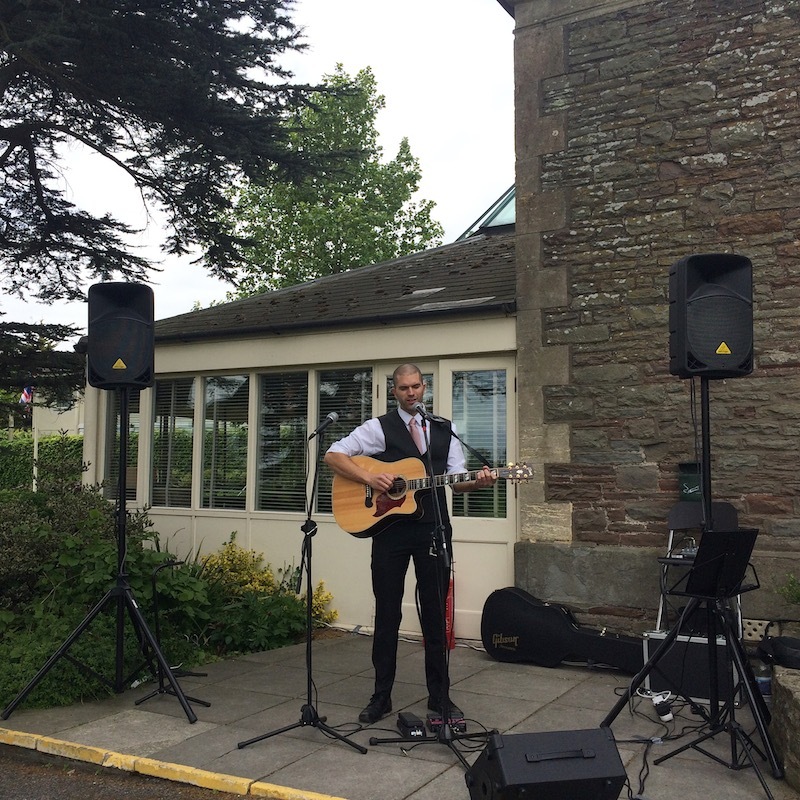 This entry was posted in News, Wedding Guitarist Blog and tagged acoustic, appearance, appearances, Bristol, ceremony, entertainment, guitar, guitarist, live, music, musician, performance, reception, singer, singing, venue, wedding, weddings by Pat McIntyre. Bookmark the permalink.